Just when you thought the Google Nexus One phone was having a hard time gaining traction in the market place, we are presented with a news release that tells breaks this trend. Last month, February, the Google Nexus One phone actually outsold the iPhone globally. According to 3G.uk, sales of the Google Nexus One are now on the rise and beat the iPhone by 16% in February this year. This trend is expected to continue as we move forward throughout the year and into 2011. One of the benefits the Google Nexus One phone has over the iPhone is that it comes “jail-broken”. 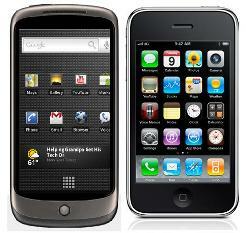 Meaning, by design, the Nexus One can be used on different carriers as opposed to the iPhone which is exclusive to AT&T. Some other advantages the Google Nexus One phone has over the iPhone is the “open source” platform of Android. The Google Android OS (operating system) allows for open development of applications and customization of the phone. The iPhone is more securely maintained by Apple, and the applications for the iPhone have to go through a strict review process at Apple before they ever make it to the iPhone. It will be interesting see how the iPhone can measure up to Google’s Nexus One phone in the coming year. "Jail-broken" does not mean that a phone can be used on different carriers. The word for that is "unlocked". Jail-broken means something completely different. This story is totally false. The iPhone far far far outsells the Nexus One world wide. This article has to be a joke!